You are here: Home>Topics>Hatfield At War>The First World War>Rifleman Harry Ernest Ewington. 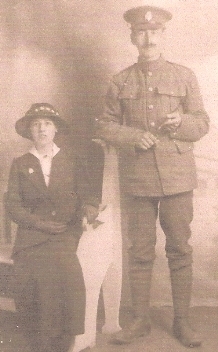 Marrage to Edith Annie Meeks 1st November 1915, Age 29, Living at 3 Belmont Cottages Newtown. 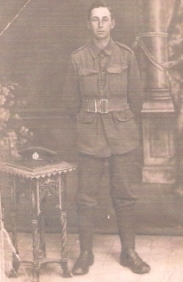 He served in the trenches on the Somme, sometimes he was put in charge of the Lewis gun. Conditions were very bad, and at times food was scarce. My mother Edith used to send him a parcel each week of fruit cake, chocolate, sausages and eggs. Other comforts were socks, handkerchiefs and clean rag to clean his rifle. These parcels were always shared with his friends. One day he got lost in No-Man’s land and walked into a pill box full of Germans they were so surprised, he quickly turned round and made a hasty retreat. In August 1917 Harry was severely wounded and crawled on all fours to a Casualty Station where he stayed unattended for 4 days. As his wounds were abdominal he only survived because he was starving at the time. He was eventually moved to a hospital in Rouen where he was operated on to remove the bullets, and remained there for about 4 weeks. He was then transported back to England to “Uplands” a hospital in Winchester. 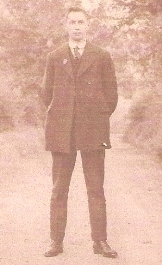 He was there until December 1917 when he was discharged medically unfit for further duty. I’ve enjoyed reading your article. 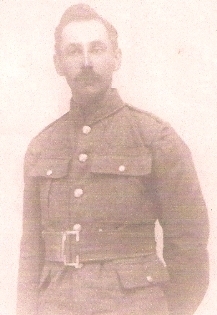 Would you know anything about a Thomas George Ewington, born about 1876?